From FR 418, follow the well-signed Arizona Trail up the side of the mountain. Out-of-this-world skinny singletrack, beginning with a couple miles of switchbacks before leveling out and climbing steadily across the west flank of Mount Humphreys. 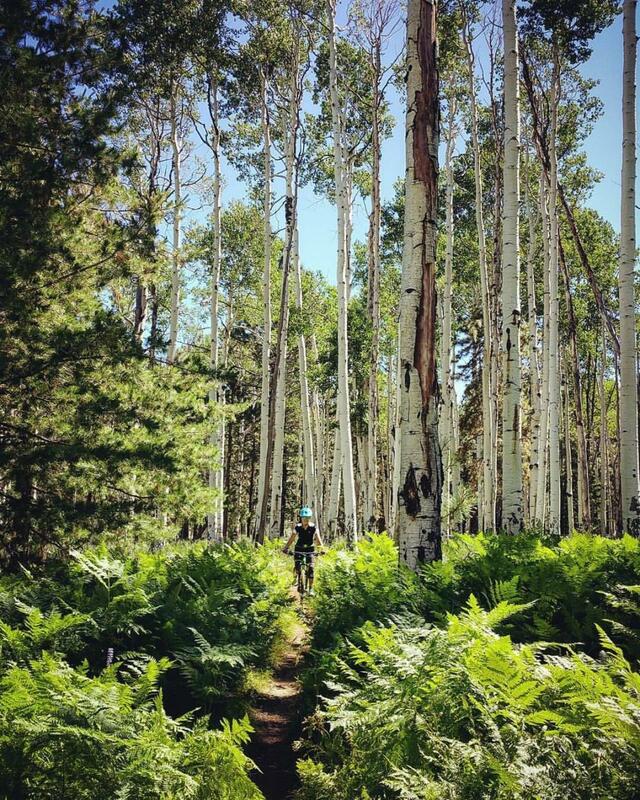 Six miles and 800' of elevation gain on a mostly easy tread, weaving through aspens, ferns, ponderosas and open meadows with magnificent views of the San Francisco volcanic field. At the signed Aspen Loop junction, turn around, or take a left and do the short, rocky climb to the Snowbowl base area. Return the way you came and grin idiotically for days. Ride it in the fall for bonus joy. Review: A smooth skinny ribbon up the side of Arizona's proudest mountain, through lush forest and wildflowered meadows, with are-you-kidding-me vistas waiting at the summit. Definitely on the easy side of "intermediate" - amenable to most who can balance on two wheels. Arizona Trail: Hart Prairie to Snowbowl MTB Trail 5.00 out of 5 based on 1 ratings. 1 user reviews.